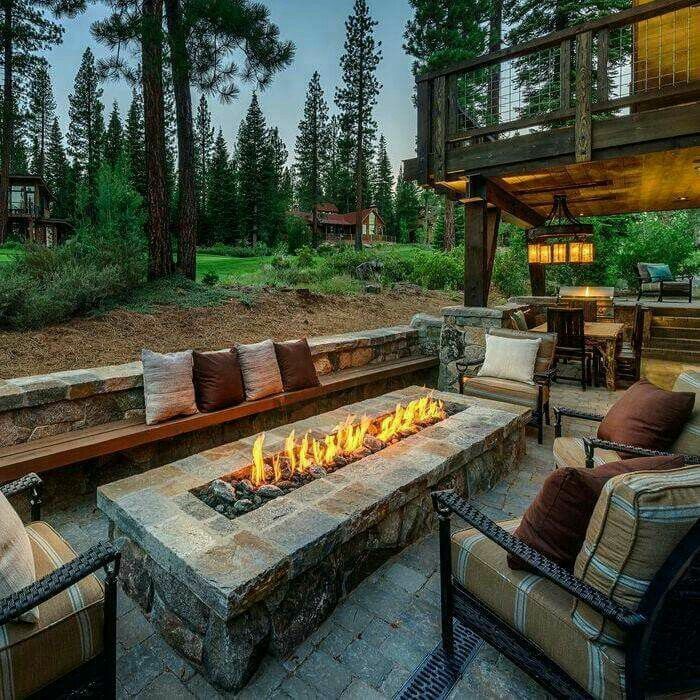 No backyard is complete without certain things in which to enjoy it; a few lounging chairs, maybe a pool, a BBQ, and a fire pit to sit around and enjoy those warm Summer nights. 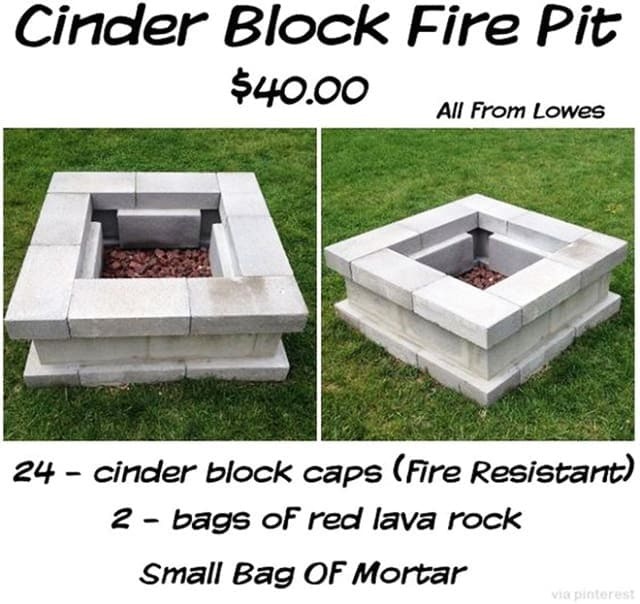 But what if you could combine those last two items and have a really great, backyard BBQ fire pit, DIY style? 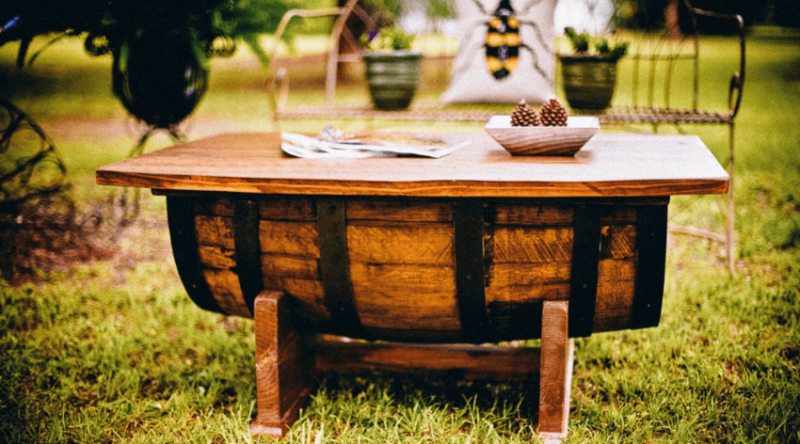 Don’t be discouraged, there are tons of ideas that are super easy and can definitely help add character to your backyard and make it the ultimate gathering spot for friends and family. Check these out and see if inspiration strikes you. 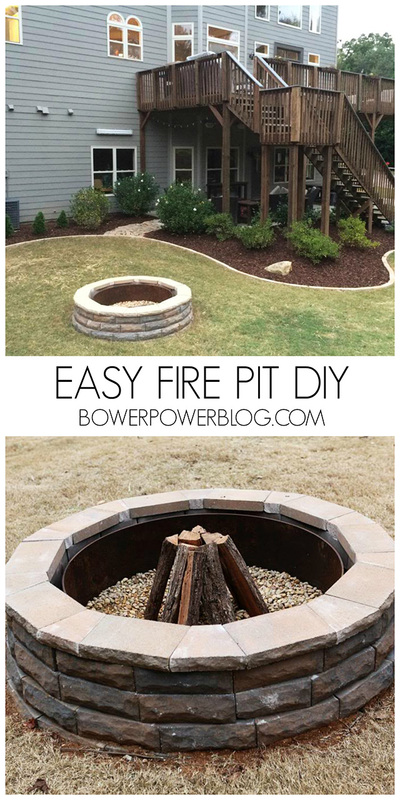 Let’s kick this awesome list off with a DIY backyard fire pit that seriously couldn’t be any easier. Simply choose the perfect spot in your yard, make a circle using landscaping stones and build up from there, like the blocks we played with as kids. After you’ve gotten the height you want, toss on a grill or metal grate and voila! *You might also like: 93 BBQ Inspired Ideas For Dad: Make the Best Day Ever! For those who are leery of creating a big pit near your home in which to burn fires in this particular image breaks it all down, step by step on what to do, how to do it, how far it should be from any structures like, say, your house? Also, the pit itself is pretty simple to do! For those who prefer to have an informational video to follow when creating their backyard fire pit, this one does the trick. Although, we don’t recommend the careless nature in which these guys handle their power tools (safety first, people!) 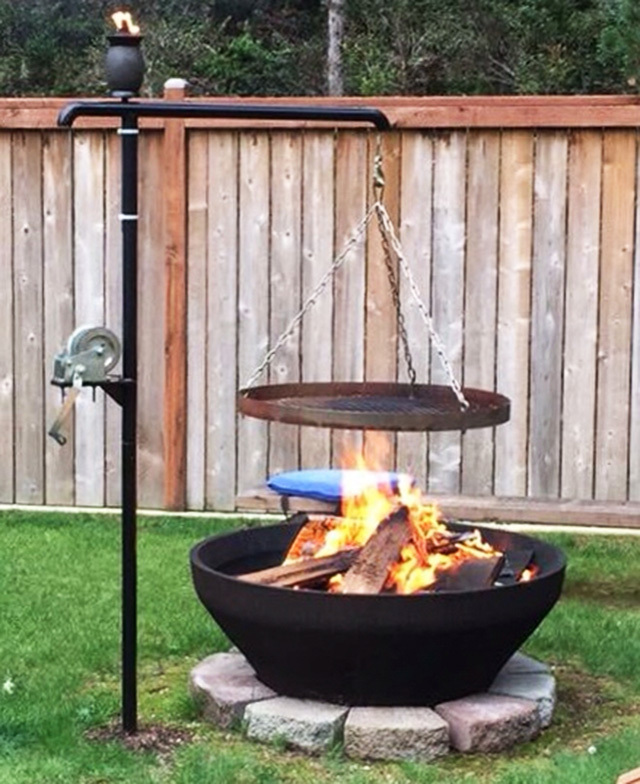 their ideas for turning a tire rim into a BBQ is wicked cool. Are you one of those people who can take a useless item and use it for something way better than it was originally intended for? 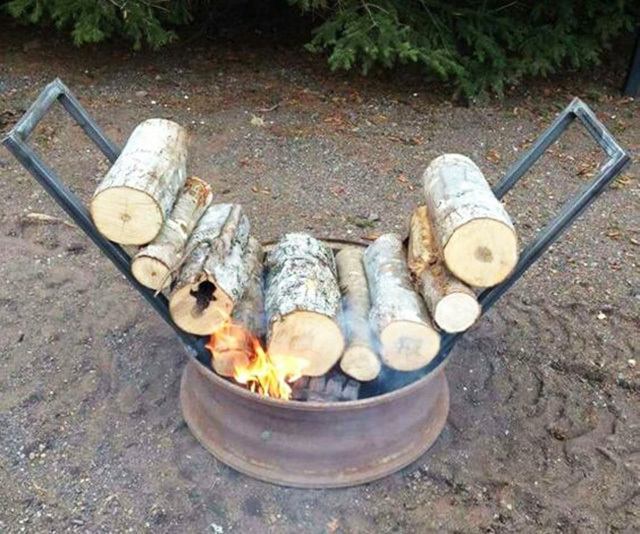 Then have a gander at this DIY backyard fire pit. 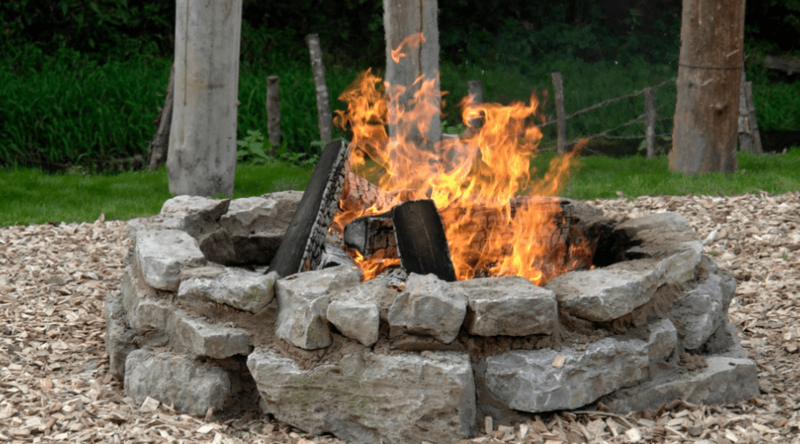 Using concrete tree rings, you can make a stellar little fire pit, and fast, too! 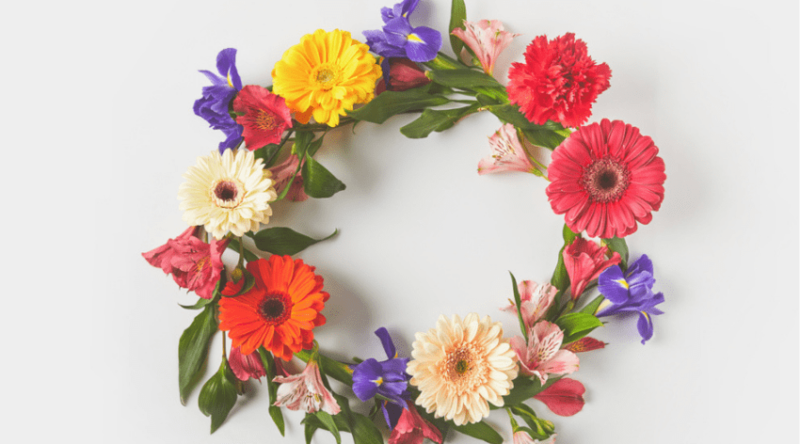 Now here’s a DIY project for the go-getter in all of us! Not only is this bad boy a BBQ pit, it also serves as a two-tiered griller and has table service for eight. It’s like having a self-serve restaurant in your own backyard. Really, we can all throw together a pit to burn wood in, but if you want it to be a more permanent setup on your property then you probably prefer it to look a little neater. Using a mixture of specific patio blocks, keystones, and landscape bricks, you can put together this cute little guy. 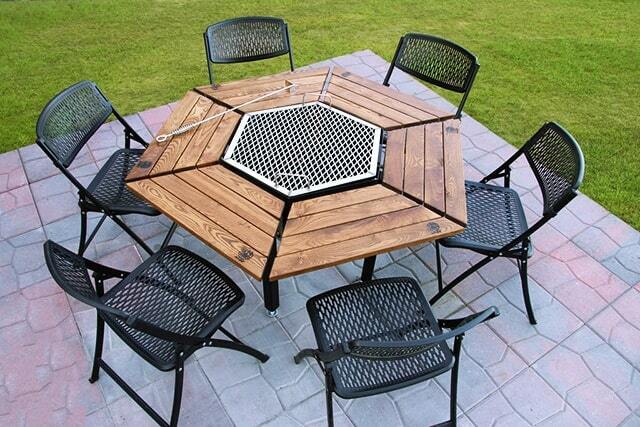 If you’re planning on doing something like this particular BBQ pit, then make sure you’re dedicated to the idea. This sucker will take time to accomplish, but is clearly worth it. It’s simple, but stunning. The pit itself is fairly basic, but the wide hearth that surrounds it and the custom benches are what really makes this one appealing. I love this DIY BBQ pit! It’s unique, rugged, and fairly easy to pull off. Simple clear an area in your backyard and fill with sand or gravel. Place jagged stones around the pit and salvage some fallen logs or beached driftwood for cool benches. I don’t know about you, but I love this one. Wow. Number one on the list may have been super easy, but I stand corrected. This DIY fire pit is hands down the simplest. 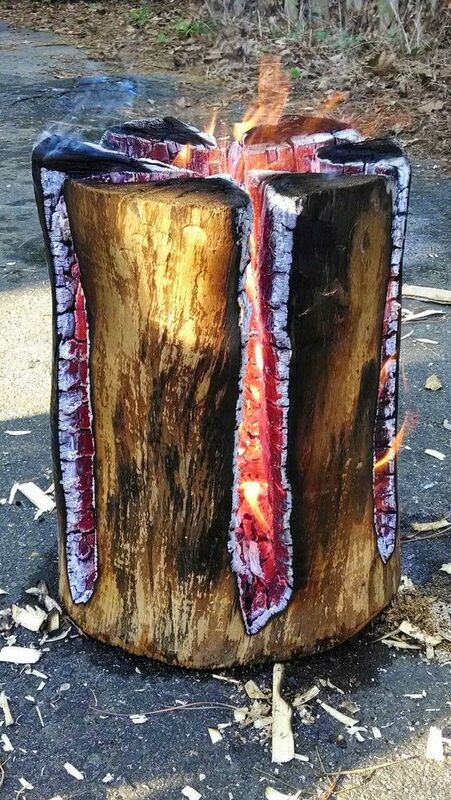 It’s nothing more than a large log, partially split six ways, and then lit in the center. Some call it a ‘Swedish Torch’, I call it ‘Fool Proof’. This may not be a DIY backyard fire pit, per se, but it’s far too cool not to have on this list. Fire glass can transform your BBQ pit into a magical display of colors. Simply pour into the pit and burn. The colors shine, the fire reflects, and you look like a wizard. 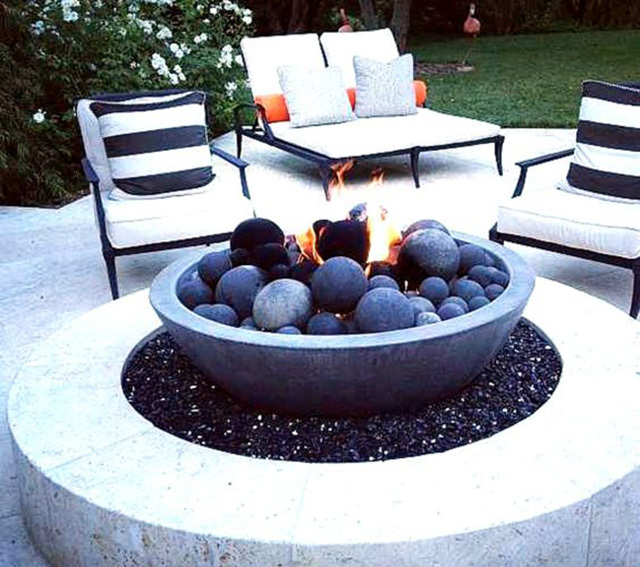 Essentially, fire pits are often round and fairly rustic in appearance. But for those of you who prefer something a little more modern, just change the shape of the stone you use to create the pit. By using square or rectangle cinder blocks you can form a contemporary, but still easy, BBQ pit in your backyard. Well this wouldn’t be a DIY list without some variety, now would it? If you live in an apartment, or rent a home that won’t allow you to have a backyard fire pit, then this idea might spark your interest. Create your own table top, concrete fire pit and enjoy a warm fire on the smallest of balconies. 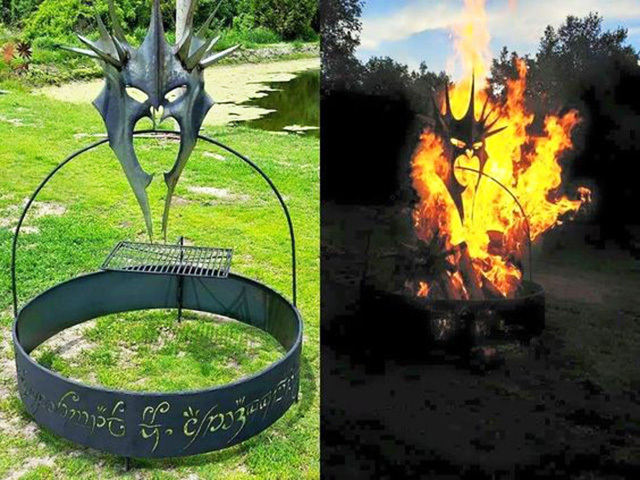 Now here’s a fire pit that speaks to my heart! It may not be DIY, exactly, but somebody makes it! 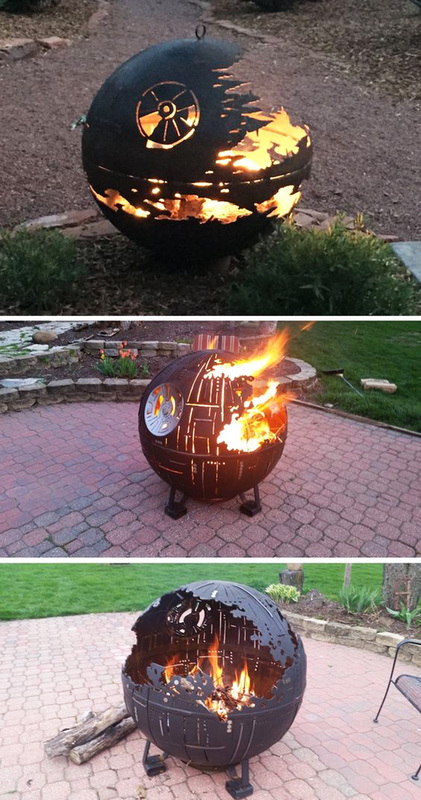 And how cool would you be with your very own Death Star burning in the backyard? Almost as cool as the wizard who’s burning fire stones. 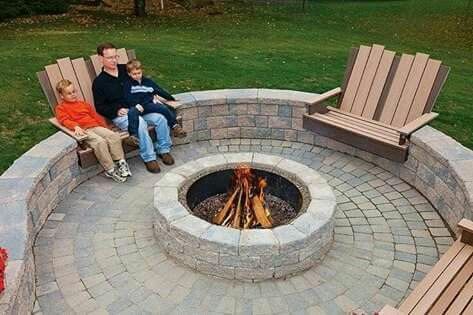 This is a great idea for a fire pit on the go. Whether it be during a camping trip, a tailgating party, or a zombie apocalypse, this idea can be done by anyone, anywhere. All you need is a round basin like a tire rim and two pieces of metal. The fire is self-feeding, so sit back and forget about fetching wood all night. If Star Wars isn’t your thing, then perhaps a bit of Tolkien will do the trick. The BBQ pit itself is pretty basic, nothing more than a simple metal ring. But the dangling Mask of Sauron over the fire creates a nice, dramatic effect. One that your neighbour may, or may not like. But who cares? Again, this one will take some dedication to the idea of having a backyard fire pit, but it’s totally worth it. I mean, look at it! It’s amazing. 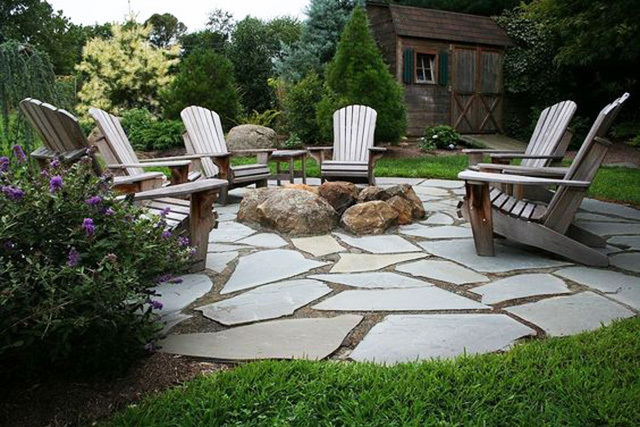 Flagstones surround the natural pit of rocks and the Adirondack chairs just make this the ultimate backyard getaway. 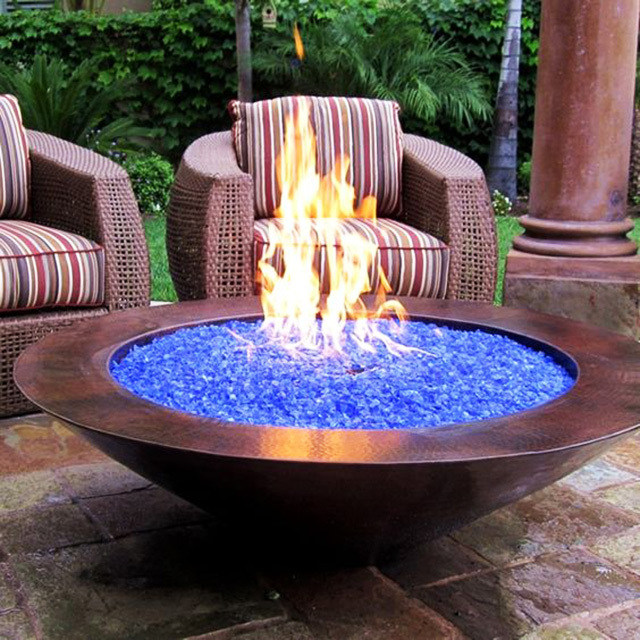 This fire glass really gives a unique effect to your backyard fire pit. Initially, it’s meant to give the appearance of fire and ice; the warm colors of the flames contrasting beautifully with the cold pop of blue or green. If you’re one for dramatic effect, then fire glass is a must have on your shopping list. 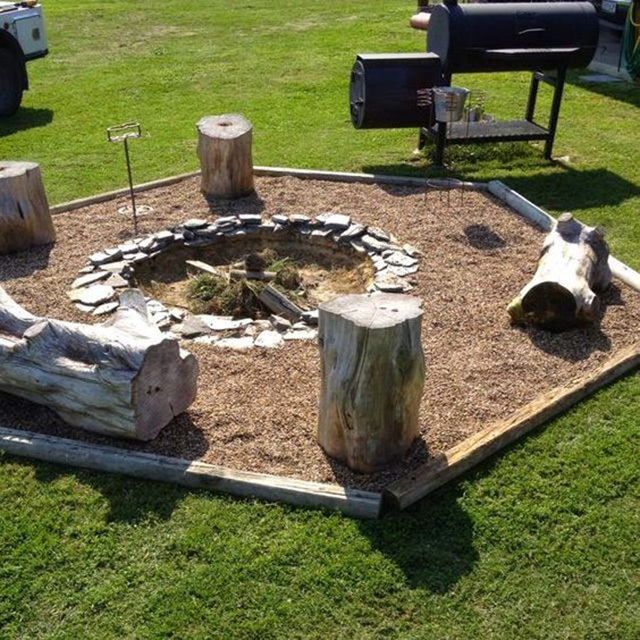 This DIY backyard fire pit can really only be pulled off in a large area. But if you have the room to spare, this gorgeous giant would make a stunning centerpiece to any patio. Even the wide capping around the edge offers extra seating if need be. Just don’t let your tushie get too close to the flames! Another cool idea for the more modern types out there. 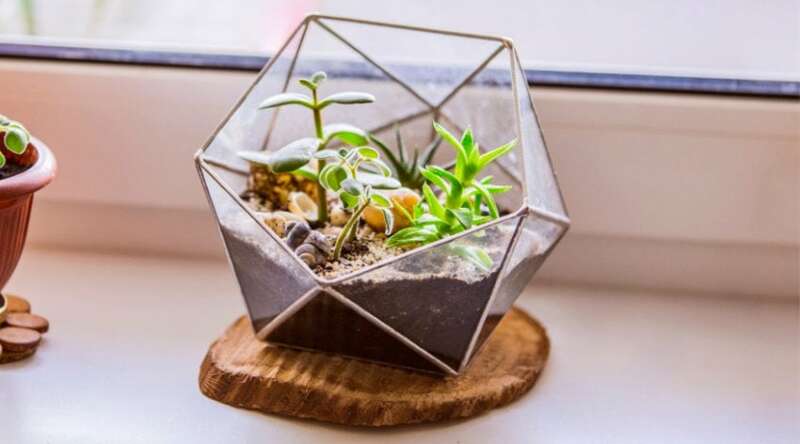 Everything here can be DIY, even the cement spheres that burn in the center of the pit, they’re actually pretty easy to make. 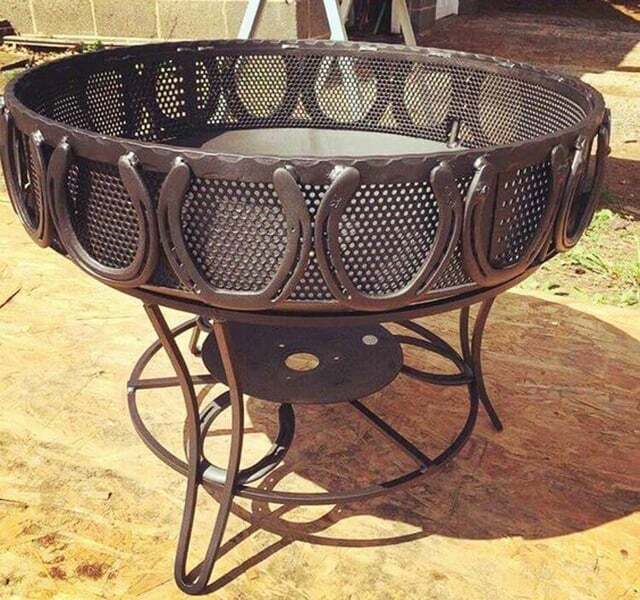 This whole idea involves a lot of concrete casting, but if you’re cool with that then this is a great BBQ fire pit project. For the horse lovers in all of us, this unique spin on a DIY backyard fire pit is the bees knees. It’s mostly just a metal drum of some sort, but the use of old horseshoes really gives it that special touch. Perfect for a ranch, horse lovers, or even a regular backyard. All you really need is a bit of welding knowledge. Do you have an old metal barrel or oil drum just kicking around that you’re waiting for the perfect project in which to use it for? Well, wait no longer. 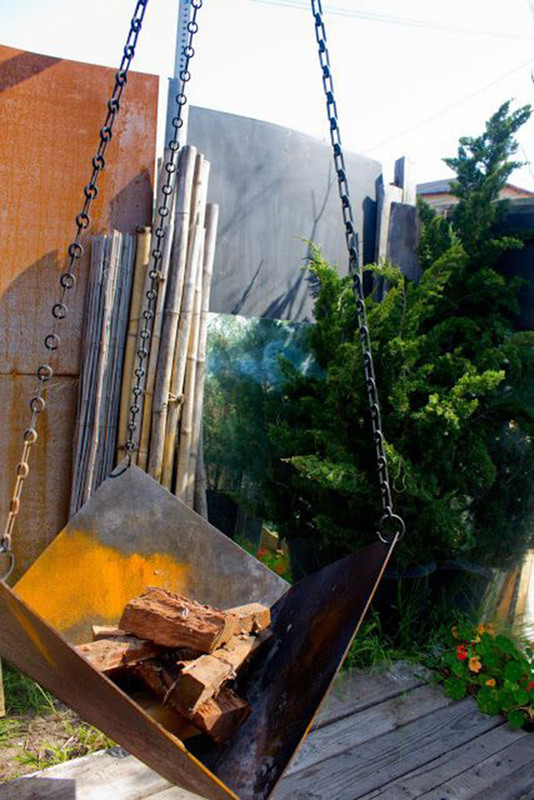 This DIY backyard BBQ is awesomely easy to pull off, and gets rid of that old oil drum. And since it only uses half of it, help your friend or neighbour make their own fire pit. If you, or a friend, can be considered handy with welding and manipulating metal then here’s a cool idea to try this weekend. Take a sheet of metal and form it into an obscure shape, one that would hold a few pieces of wood. Weld some hooks on the upturned corners and attach it to a pole. Ta da! A cool, hanging fire pit. Ah, a garden torch, the somewhat cousin to the fire pit. You could go out and buy a few Tiki style torches or even some nice metal type models, or you could get creative and whip up a set of these. Don’t be discouraged, they’re fairly easy. 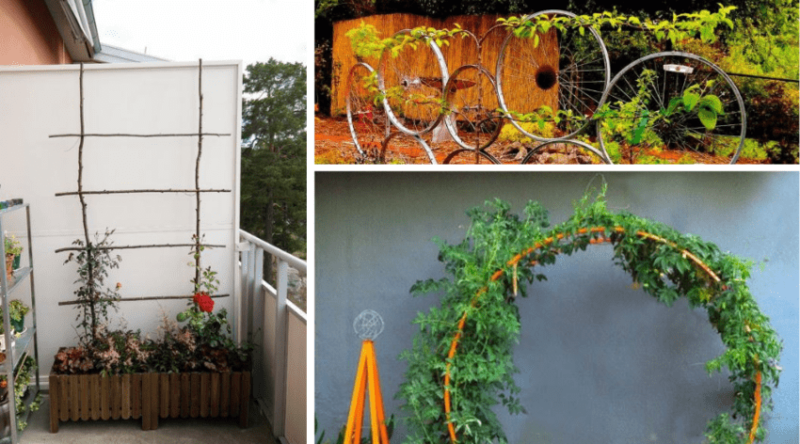 All you need are a few length of metal pipe and some thin sheets. Break out that DIY welding knowledge you learned and get to work. If you’d rather take the easy route (no shame in that), then consider making a simple square cast. Set up your fire pit shape with some wood forms and pour your concrete. When it dries you’ll have a great, sturdy, and long lasting fire pit. 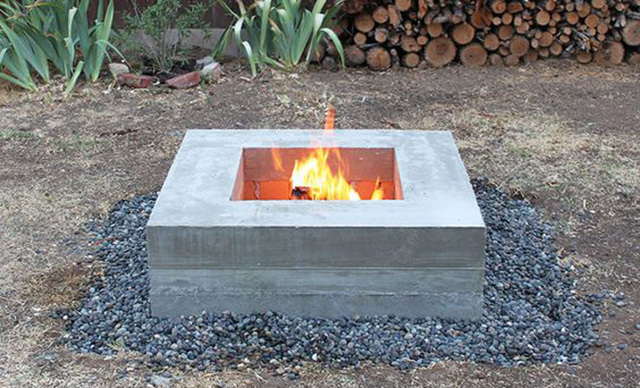 Just like the mini versions we mentioned earlier in the list, the DIY concrete bowl is a really cool idea for a backyard fire pit if you don’t have the means for a more permanent solution. Choose how big or small you want it and enjoy the flames from your balcony, patio, or backyard. Of course we had to save the coolest for last! 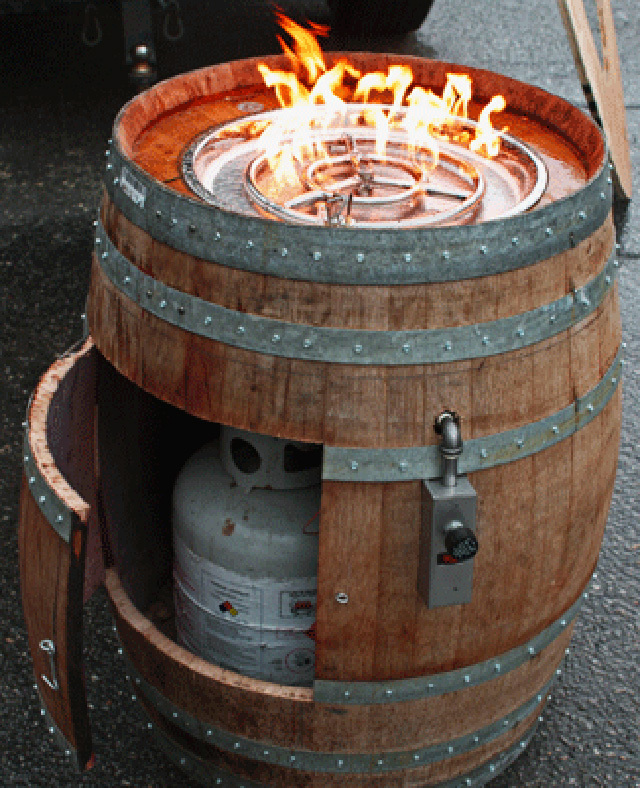 And you really can’t any cooler than an old wine barrel that’s converted into a grill. Cut out a door and pop in a tank of propane, toss a grate on top and you’ve got yourself one heck of a man’s BBQ. Super cool. Did you enjoy this awesome compilation of DIY backyard BBQ pits? Did any of them strike an idea to try out? If so, we’d love to hear all about it! Leave us a comment and share your DIY fire pit project!